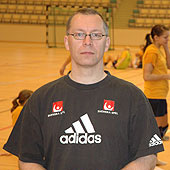 Jilsen System AB is a family-owned business founded in 2008, which develops computerized informationservices for, primarily, handball. The development is based on material which has been gathered during more then 25 years. Jilsen System AB develops software to systems of registration, statistics and analysis of handball.